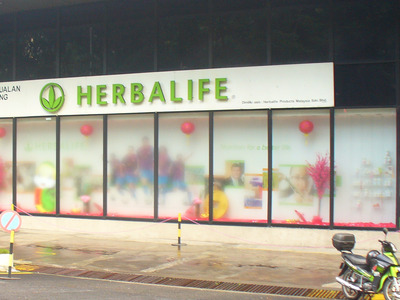 Yesterday nutritional supplement seller Herbalife beat Wall Street’s earnings estimates and raised its sales guidance. The multi-level marketing firm reported $1.05 EPS on sales of $1.1 billion. On average, analysts polled by Bloomberg expected the multi-level marketing firm to post an adjusted EPS of $1.03 on sales of $1.049 billion. Herbalife has become one of the most controversial stocks. Bill Ackman, the CEO of Pershing Square Capital Management, has publicly declared that he’s shorting more than 20 million shares of Herbalife with a price target of $0. The premise of his thesis is that he believes Herbalife is a pyramid scheme and regulators will be induced to investigate the company. The company said he used misleading and inaccurate information in his massive 342-slide presentation. The company also released its 10K filed yesterday and a short-seller (a.k.a. Bill Ackman) got a mention in it (emphasis ours). “In late 2012, a hedge fund manager publicly raised allegations regarding the legality of our network marketing program and announced that his fund had taken a significant short position regarding our common shares, leading to intense public scrutiny and significant stock price volatility. Following this public announcement in December 2012, our stock price dropped from $42.50 on December 18, 2012, to prices as low as $24.24 in the following week. Our stock price has continued to exhibit heightened volatility….Short sellers expect to make a profit if our common shares decline in value, and their actions and their public statements may cause further volatility in our share price. While a number of traders have publicly announced that they have taken long positions contrary to the hedge fund shorting our shares, the existence of such a significant short interest position and the related publicity may lead to continued volatility. The volatility of our stock may cause the value of a shareholder’s investment to decline rapidly. Herbalife’s management also said that it has contacted the SEC after Ackman’s presentation, the 10K shows. We’ve included highlights from the call below.